Moya Brennan • View topic - Brothers and sisters? Moya's sister makes also music like Eithne Patricia Ní Bhraonáin (Enya). Got Moya more sisters or brothers who make music? Yes, Moya's youngest sister, Bridin Brennan, has recorded one album called "Eyes of Innocence". It's a great album. My favorite track is "Hang On". Also, if you go onto YouTube and do a search, some of the videos from Bridín's songs are on there. Another of the Brennan siblings, Deirdre, did perform backing vocals with Clannad, too, but she's now well-known for her paintings, particularly in Ireland. She is also being a Christian? Moya is a Christian, but I'm not sure about any of the sisters - if they haven't said anything publicly, then it may be that they are choosing to keep their religion, if any, private and to themselves and not broadcast it. Someone with better knowledge may be able to answer definitively here. To answer the original question,let's not forget Pól and Ciarán who are part of Clannad and also have their own projects. Last edited by Dubhy63 on Tue Apr 26, 2011 6:53 pm, edited 1 time in total. Enya was brought up a Catholic, but she doesn't practise it avidly. For me it is relevant. I prefer to listen to gospel music. rolandboonstra wrote: For me it is relevant. I prefer to listen to gospel music. As for Bridin, the album she recorded is not gospel music. 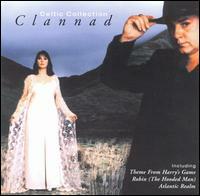 If I'm not mistaken, Enya has recorded at least one hymn in Gaelic, "Athair ar Neamh", and she has also sung Christmas carols, but then again many of the tracks she has recorded were inspired by Celtic mythology and folklore, not to mention some lines from Horace in one song, and some other songs in the invented Loxian. Let's also not forget in the case of Enya, it is mostly Roma Ryan who does the lyric writing. My understanding is that the Brennan's were brought up Catholic so they probably all have faith they just may not all regularly attend church. I am a Christian and I primarily listen to Christian music. I always have and probably always will. I just love it but don't give up on the Brennan's because they may not sing "Gospel" or "Christian" music. You will be robbing yourself of some wonderful music. I have all of Moya's music, Clannad's, Bridin's & most of Enya's and it is all great music. You will not find any lyrics or anything in any in there music that is anti God. If you are looking for only Christian music then Moya is the only one who has recorded music on a Christian record company. You might also like the music of Eden's Bridge, Iona & Joanne Hogg. I hope this is helpful. Thanks for your information! Greetings from the Netherlands. Thats why I want to know if he or she is a Chrstian. Not all non-Christian music is like that, but certain genres are known for it. A few years ago, I heard something on the radio where they illustrated the point with some rap stuff, and they bleeped out all the bad language.